Heroes: Version 2.7.0 Coming Soon! 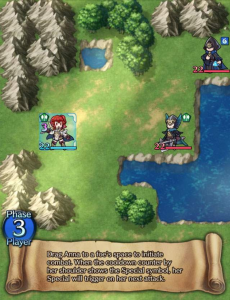 Fire Emblem Heroes has announced details for the Version 2.7.0 update arriving in early July. To prepare for the update, the game will be offline between midnight and 2 AM UTC on 9th July 2018. Afterwards, 2.7.0 should become playable. Here are the new details, which you can also read about from the in-game notifications screen. These are new maps intended to allow players to learn the rules of the game while playing. Players will be given a fixed set of Heroes (so they can’t use their own ones) and must overcome challenges within a certain number of “phases”. Your turn and the enemy’s turn are each counted as individual phases. There will be 3 difficulty levels and rewards such as Orbs and Hero Feathers can be earned upon the first completion of each map. Basics: These teach the basic rules of combat and are thus recommended for beginners. Skill Studies: These showcase various skills. Grandmaster: Maps for advanced players. Only available after claring Book I, Chapter 13 in the main story. Additional Skill Studies and Grandmaster maps will be added every Thursday during the daily rollover. As with recent version updates, new weapons and weapon refinery options for existing Heroes will be available. The three new weapon skills can also be refined. All Heroes must be 5★ to benefit. At the moment, an individual pop up screen appears to show the progress of each quest. After the update, all quest progress after a map will be consolidated into a single screen. 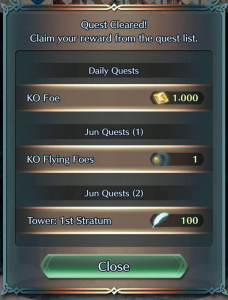 So no more mad tapping after clearing monthly quests etc. (although this update comes after July starts…). On the map-selection screen, the screen will automatically scroll to newly added maps. A “Battle BGM” setting will be added, allowing players to toggle the music during battle animations On, Off or for special battle music only. “Event Recap” will be added to the Miscellaneous menu to review conversations from past events, presumably from past Tempest Trials etc. 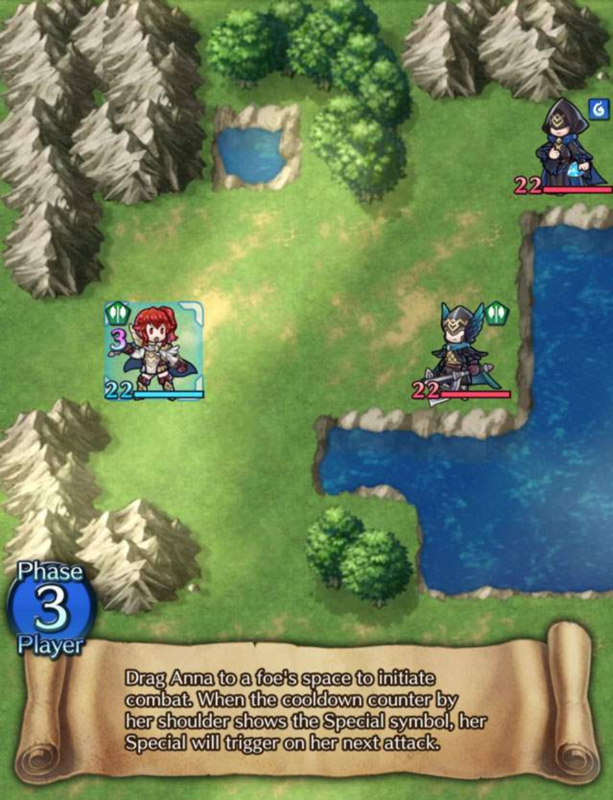 A Restart Option will be added to menus in Grand Hero Battles, Tactics Drills and other maps that require 0 Stamina to play. Curious to see how those Tactic Drills turn out, the concept has potential. Titania’s weapon sounds a lot like a Dragon and Horse effective weapon. Which sounds amazing. Or it could be a Flier and Horse effective weapon as Draconic could just be referring to flying in the wyvern sense. It wouldn’t be as amazing, but it would still be pretty neat. Regardless just happy to see her get a Poleaxe. 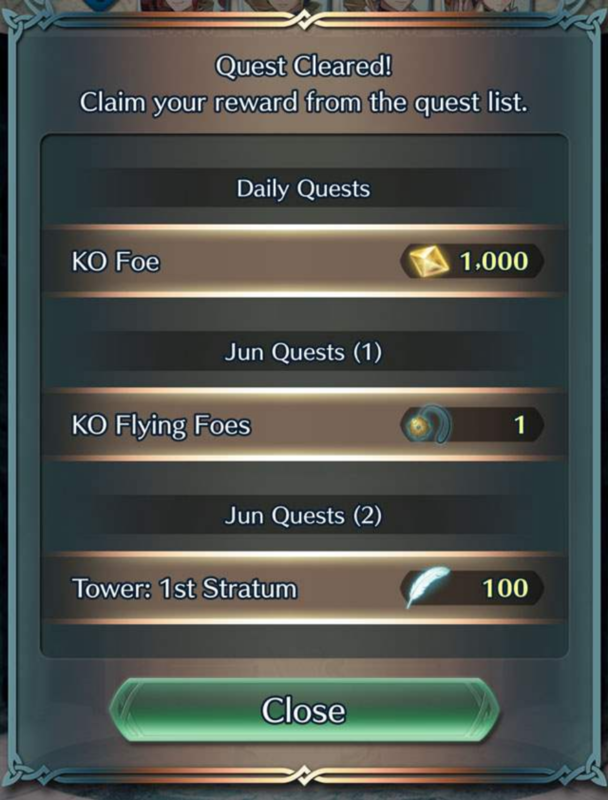 Intsys really does listen to what the community says. Follow up on her weapon, the Japanese name is 傭兵団の戦斧, which translates to Mercenary Battle Axe. So maybe it’ll still be some kind of “effective vs” weapon, but most likely will be something that more closely relates to her personality or relationship to the Griel Mercenaries. Chapter 13. We better meet Hrid, the last chapter’s ending left a great opening for him to dash in all heroiclike.